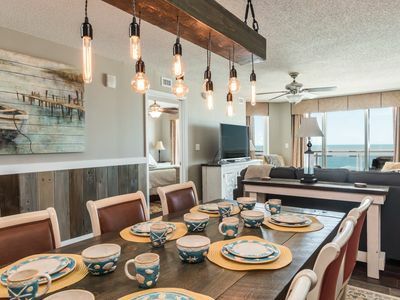 Shore Crest Vacation Villas takes beachside living to a whole new level. 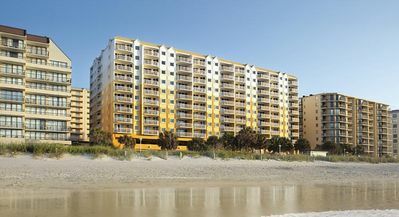 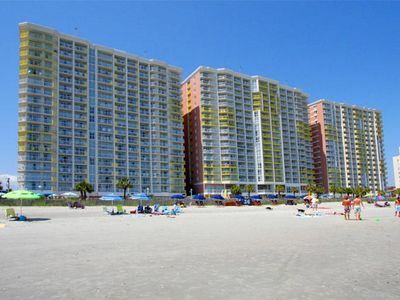 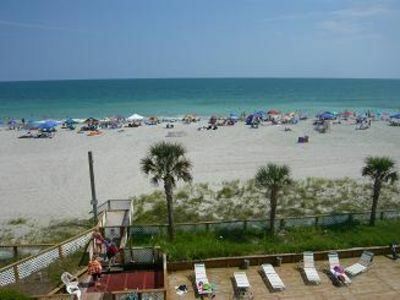 Choose from two resort buildings: Shore Crest I is on the ocean and just a short boardwalk stroll from the beach. 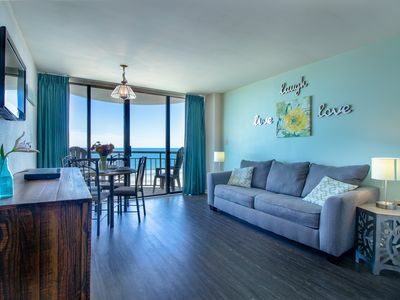 Spacious 2-bedroom suites can accommodate from six guests in comfort and style, with full kitchens and baths, master bedrooms, separate living and dining areas and balconies. 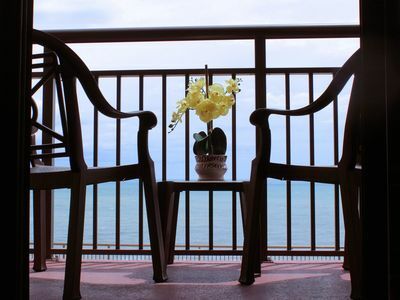 After a fun-filled day, this luxurious resort offers just the right formula to help you relax. 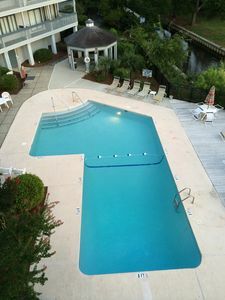 Let yourself go in the winding lazy river, heated pool or hot tub. 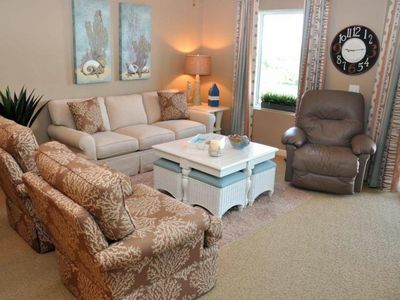 Or stroll barefoot through the soft carpet-like zoysia grass while you take in the award-winning landscaping. 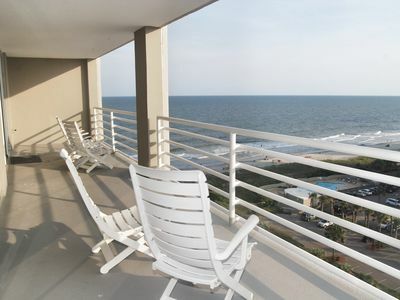 The beach is just steps away across our convenient boardwalk. 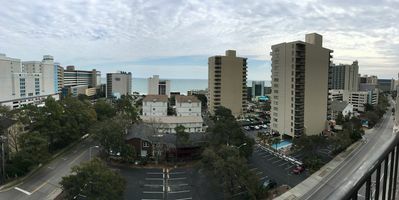 Don’t miss the entertainment complex in North Myrtle Beach featuring everything from live performance venues to shops and boutiques, restaurants and even a wildlife preserve for endangered animals! 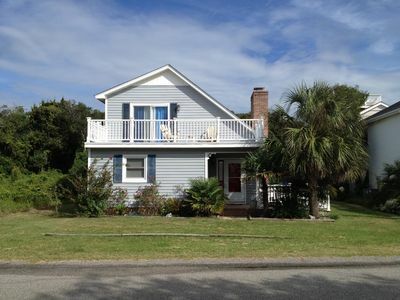 Coastal Cabana: Ocean View Home - 200 Easy Steps to the Beach! 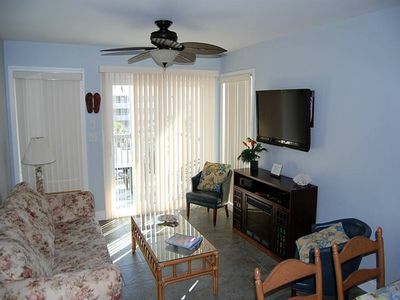 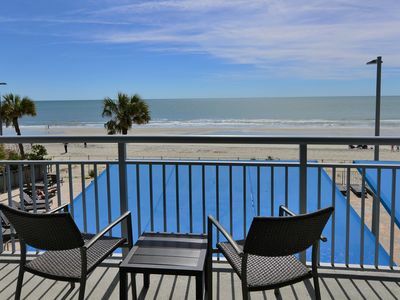 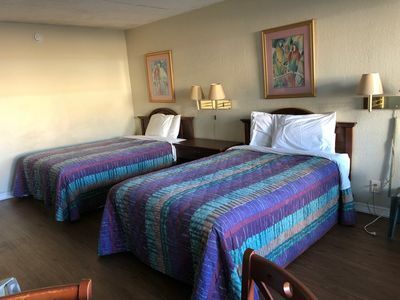 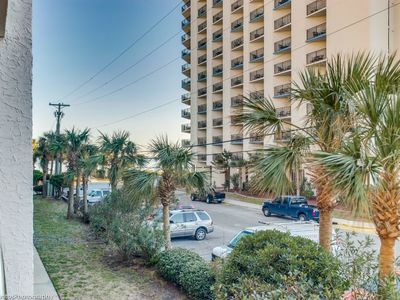 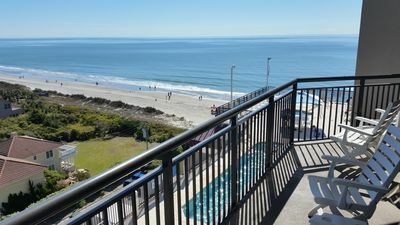 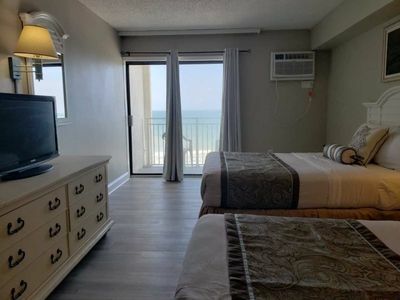 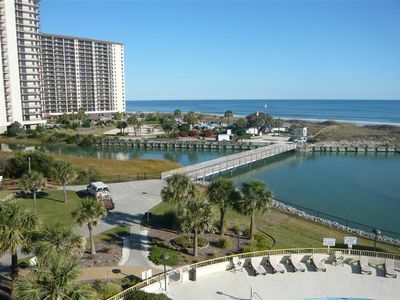 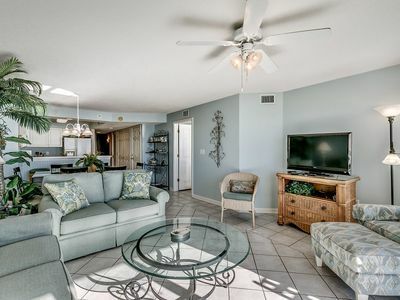 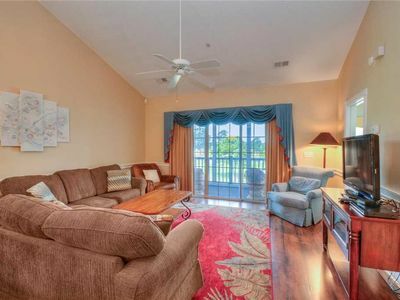 AshWorth 308, 3 Bedroom Beachfront Condo, Hot Tub and Free Wi-Fi!